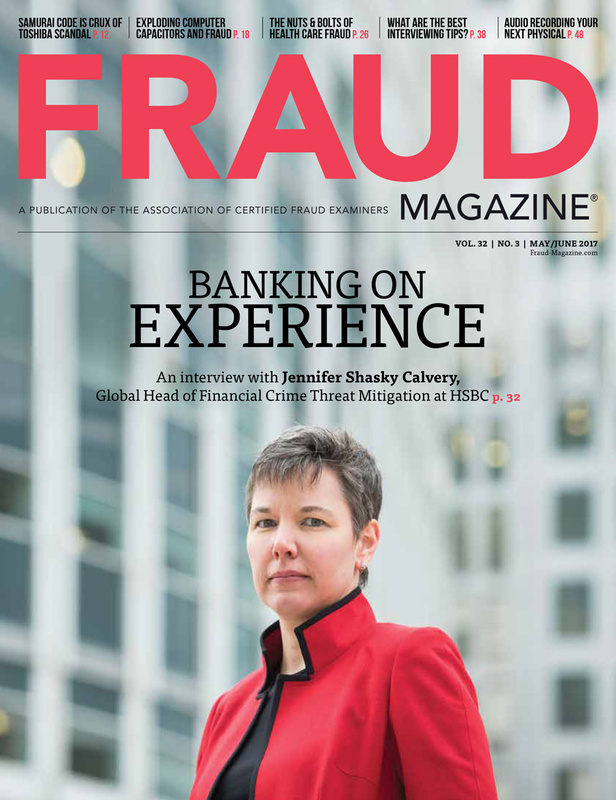 Detecting financial statement fraud is more complex than ever. Convoluted mergers and acquisitions and recent court rulings on goodwill and loan loss reserves complicate fraud examinations. But here are ways to investigate the books and the personalities behind the numbers. The setting: a corporate chieftain’s mahogany-paneled office. “What do you have for me?” the CEO asks. “Imagine that,” the CEO says, smirking as he eyes the numbers. The above conversation never took place. But there’s nothing imaginary about the attitudes and techniques it illustrates. After a 25-year FBI career, Sizemore is director of investigations for Forensic Strategic Solutions, a forensic accounting firm with offices in Birmingham, Dallas and Washington, D.C. 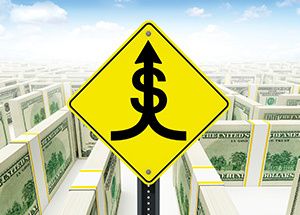 It can, however, be hard to tell if either or both participants in a merger and acquisition (M&A) deal have misstated their financials. A current high-profile dispute exemplifies this, with each party to a massive acquisition accusing the other of false statements. Autonomy’s erstwhile head fired back that HP was trying to find a scapegoat for its own incompetence. “I utterly reject all allegations of impropriety,” wrote former Autonomy CEO Dr. Michael R. Lynch in an open letter to HP’s board. “Can HP really state that no part of the $5 billion write-down was, or should be, attributed to HP’s operational and financial mismanagement of Autonomy since the acquisition?” he asked. The U.S. Department of Justice and the U.K. Serious Fraud Office are looking into the matter. When pressed to publicly reveal specifics underlying its fraud allegations against Autonomy, HP announced it won’t do so until the dispute reaches court. Identifying specific accounting and/or financial reporting standards that Autonomy violated. Obtaining hard evidence of those alleged violations. If either of these elements is missing from HP’s case, it will fail. So, what are some of the best ways for CFEs, working as or with forensic accountants, investigators and attorneys, to help their employers or clients prepare if they ever face a day in court like that awaiting HP? 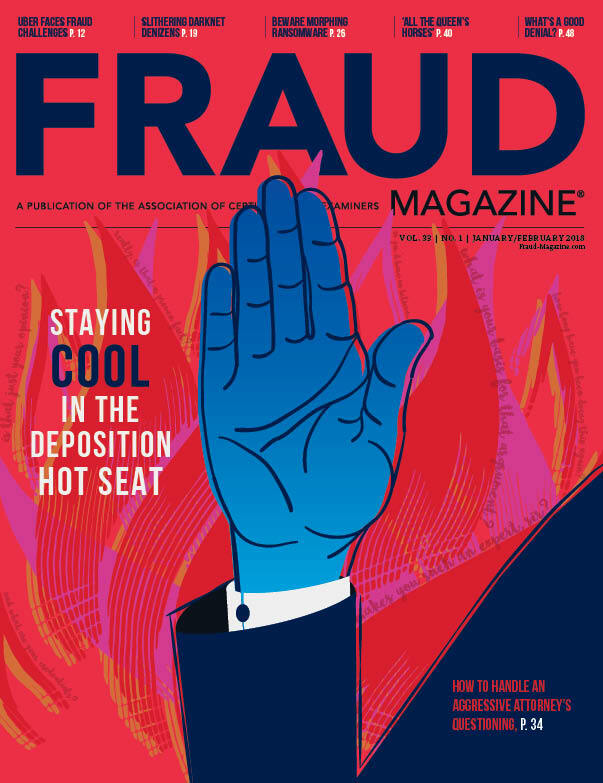 “Financial statement fraud often involves so-called ‘topside’ journal entries that produce a desired, but not necessarily accurate or legitimate, effect on the numbers,” says Gerry Zack, CFE, CPA, CIA, founder and president of Zack, P.C., an audit, anti-fraud and risk advisory firm near Washington, D.C.
For example, Zack explains, all accounts receivable activity takes place in a subsidiary ledger — its totals feed the general ledger, which flows into the financial statements. However, as their name implies, topside journal entries aren’t made in subsidiary ledgers. That’s because fraudulent transactions in subsidiary ledgers are visible to many employees. So, when possible, fraudsters post their bogus journal entries topside. Fraudsters also try to hide their activities from auditors. 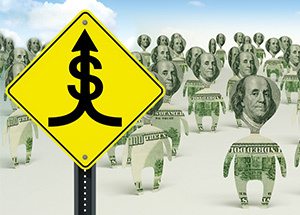 With companies routinely posting enormous numbers of transactions, auditors can examine only limited samples whose monetary value equals a set, undisclosed minimum amount. 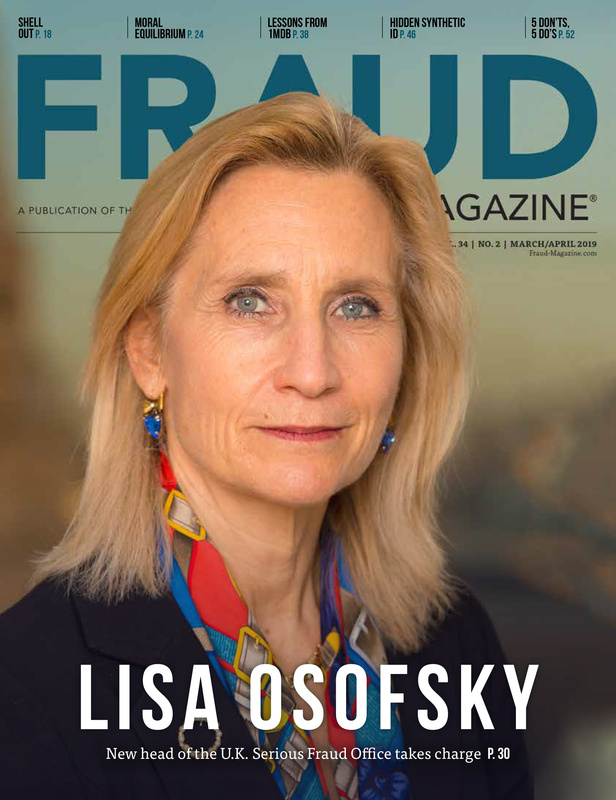 But if fraudsters somehow learn the auditor’s materiality threshold, it’s a simple matter for them to keep all their fraudulent transactions below that amount and greatly reduce the chance the auditors will ever notice their illegitimate entries. 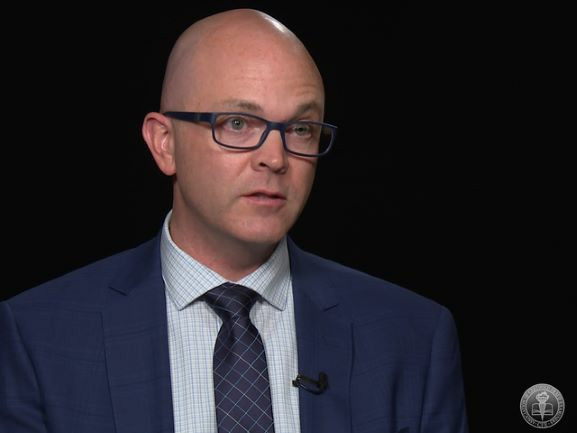 To satisfy the markets, Zack says, the perpetrators of one of the largest frauds in U.S. history made hundreds of journal entries just below the materiality threshold their company’s auditors observed. The infamous company’s name? HealthSouth. 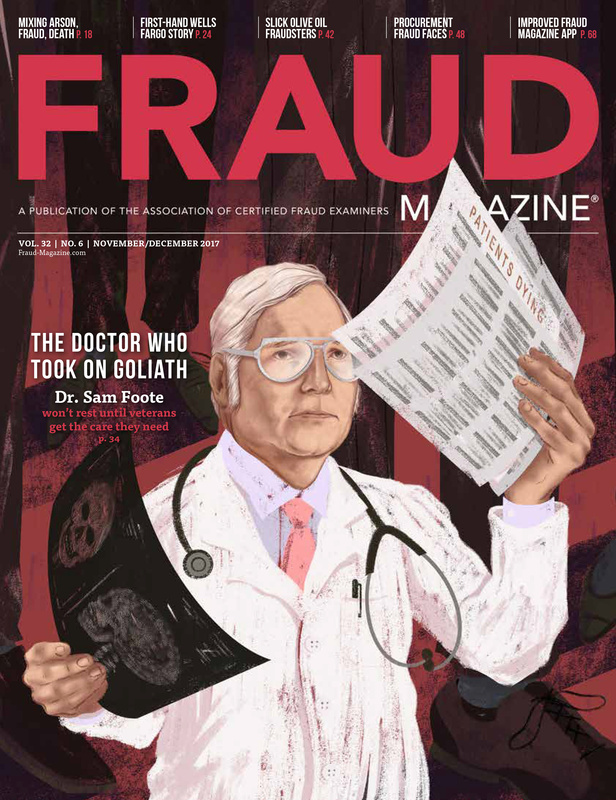 HealthSouth’s avoidance of its auditor’s materiality factor is something Forensic Strategic Solutions’ Sizemore will never forget. As the Birmingham, Ala., FBI office’s assistant special agent in charge, he managed the 2003 HealthSouth investigation. 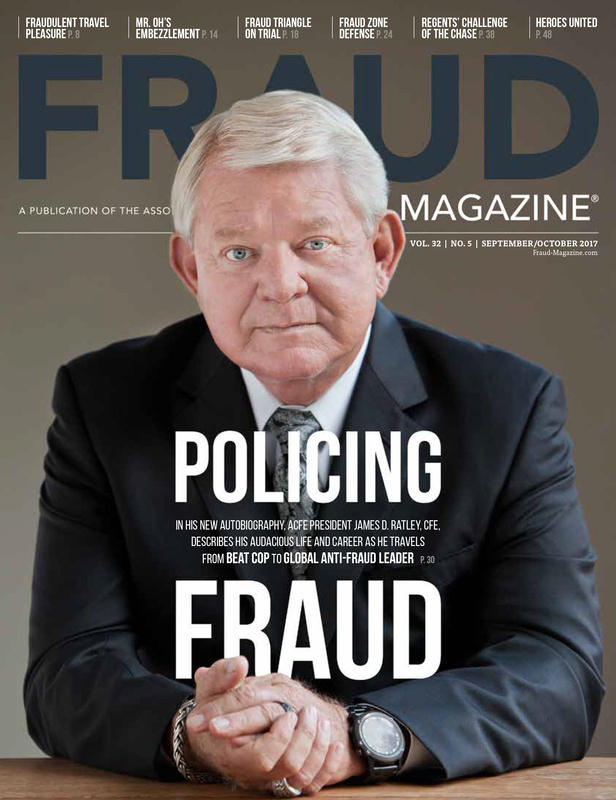 Sizemore’s account of the $2.7 billion financial statement fraud (“Sniffing for Cooked Books,” ACFE article, Aug. 2010) illustrates the detective power of financial statement ratio analysis. 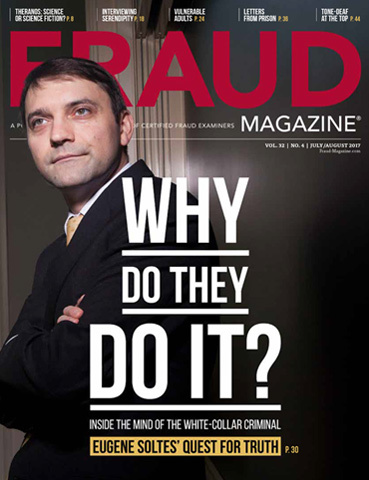 Sizemore describes another financial statement fraud auditors should have detected. Just for Feet was a discount shoe retailer, headquartered in Birmingham, with outlets in 40 states. By the time the scheme ended, the per-share price of Just for Feet stock had plunged from $29 to $1.25. A competitor acquired the company after five of its top executives cooperated with investigators and were convicted of felonies. CFEs can learn much from studying the audit process and its objectives, Sizemore says. The better they understand it, the more capable they’ll be of independently obtaining and analyzing information, such as comparing their company’s financial ratios to industry standards and prior periods and business cycles.